Home > Your ultimate guide to Spring cleaning! Your ultimate guide to Spring cleaning! With it finally starting to feel like spring, it's about time we made a start on the annual spring clean! 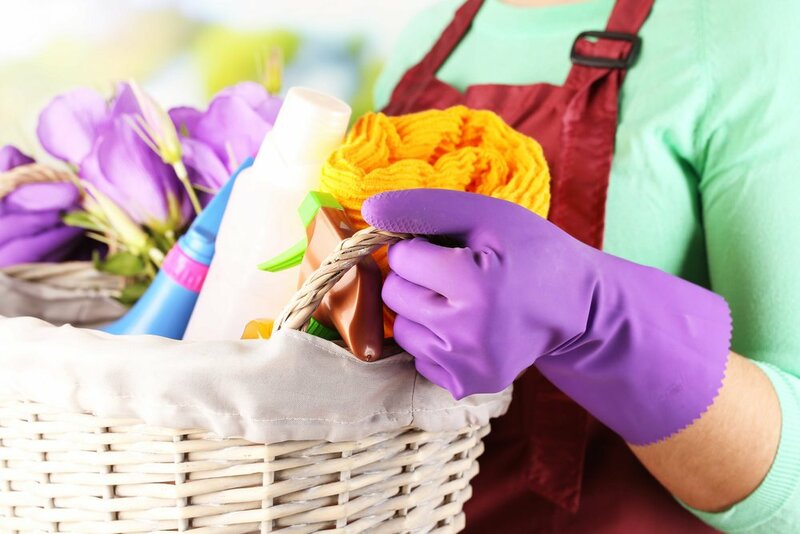 Here's your top to bottom guide to giving your house a good spring clean including the products we love plus some DIY cleaning tips. Apparently Britain’s most hated cleaning job is the oven, and looking at the blackened gunk at the bottom, it's obvious why! Oven Pride however does all the work for you, and once applied (carefully, with gloves and a cloth) it can be left to work its magic until the next morning. Whether you have a stainless steel hob or a ceramic one, there are plenty of great products on the market that will have your stainless steel or ceramic hob looking sparkling in no time! For a quick clean, try the Hillmark SteelKleen stainless steel wipes and for a longer lasting clean shine, try the stainless steel cleaner and repellent which helps to fight off future stains. For ceramic hobs, Hillmark's Cooktop Scraper is great for removing stains before they have chance to cool down but alternatively, pop a Hillmark Ceraseal Ceramic Glass Cooktop Protector on your hob. This invisible protective layer will protect from permanent damage by repelling spills. Rubber gloves at the ready, loose crumbs swept aside, I went to the kitchen worktops with the Clean 'N Fresh antibacterial spray and a bizzybee cloth. 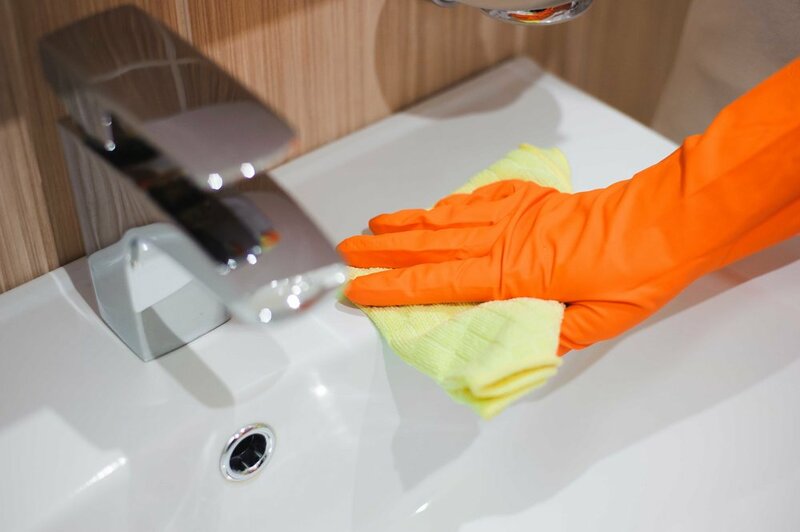 For the kitchen sink, add a dose of Clean 'N Fresh bleach for the drain before wiping the sink area with antibacterial spray. Give grubby cupboards a swipe with Erase Away magic erasers to get rid of tell-tale fingerprints. Then it was time for a reorganise of cupboards– be gone, lumpy jars of spices circa 2008! Be sure to clear out your fridge and freezer too! When cleaning your fridge, turn it off and throw away any old food and take the rest of the food out for the time being so that you can fully clean any shelves, drawers and surfaces in the fridge. For a natural cleaning product, try combining two cups of hot water with one cup of white wine vinegar and add 10 drops of your favourite smelling essential oil in a spray bottle. Use this to wipe down all areas of the fridge. Before moving onto the next room, it was time to give the floors a good clean. Start by brushing away all of the crumbs, dust and bits of dirt or food that have dropped on the floor an sweep them into the bin. Then, grab a mop and bucket and start to mop the kitchen floors. Once you've done this, leave the slippy kitchen floors to dry whilst you move onto the rest of the house. Gloves a-go-go for bathroom time, I swooshed the bath, sink and plug holes with Limelite spray to rid them of limescale, before anti-bacing the surfaces and bleaching the loo. It's also a good idea to give your towels and bath mats a good wash to make them extra fluffy. The first important thing to do is vacuum the floors. Once the floors are clear, move some furniture and get down the backs of any sofas, chairs, TV or shelves. Now, give the surfaces and any shelves, ornaments or anything that looks a little dusty a good polish. There’s nothing quite as draining as a wardrobe clear out, but the sense of satisfaction afterwards is hard to beat. Don't be too harsh on yourself as sometimes, it’s nice to hang on to the odd ‘just in case…’ outfit. Pop the clothes and shoes in a bag ready to go to the charity shop. Go around the house with a bizzybee cloth in case you've missed a spot and then you're finished! Who knows how many calories you could have burned? Having a sweet smelling home can lift your spirits as well as making your house feel more presentable to guests. Zoflora's new Hello Spring! scented disinfectant will leave your house smelling of your favourite spring time scents. The multi-use disinfectant kills 99.9 per cent of bacteria and viruses and the fragrance has notes of Bergamot, Lily of the Valley and freesia. Hello Spring! is available to buy from Asda, Morrison's, Tesco and Sainsbury's for £1.48 per bottle. 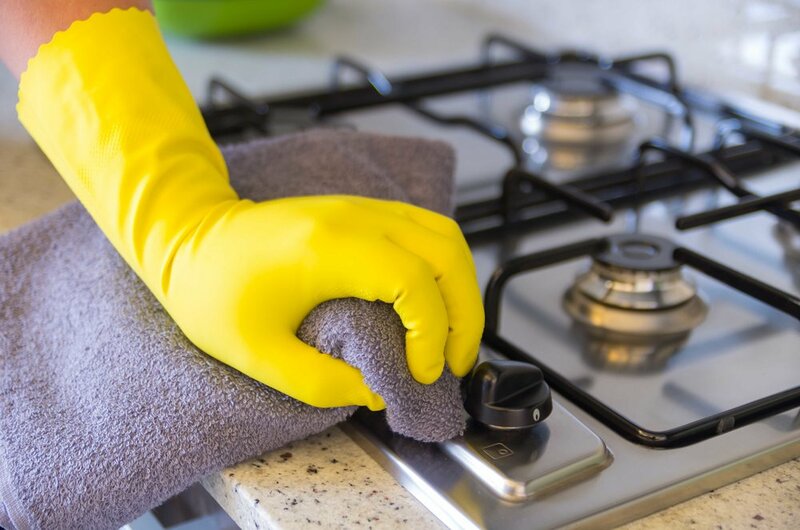 Take a look at our 65 cheap and easy cleaning tips! Love it or hate it? The George gnome range!